One of the more understated strings in the bow of animation giant Pixar are the moral lessons that their films provide to audiences. 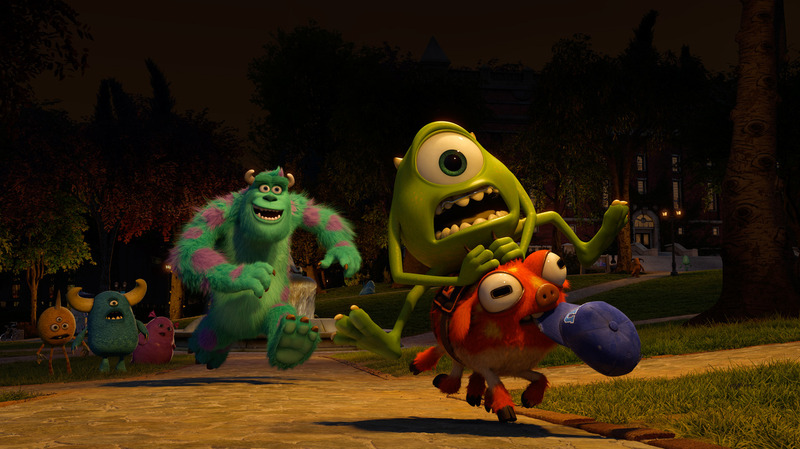 In 2001 Monsters, Inc. introduced us to Mike and Sully, two monsters that were part of a corporation where monsters could travel through teleportation doors and into bedrooms of children to scare them so that their screams would power their operations. Children were also seen as dangerous outsiders until the business learnt that laughter is a more successful for increasing production. Overcoming our fears, risk taking and laughter are lessons that the animation studio itself taught us and embraced on its own. Pixar have again upheld this optimistic, moral outlook because Monsters University is a celebration of diversity and learning your specialist skills. The film is a prequel to the 2001 film, with Billy Crystal and John Goodman reprising their roles as monsters Mike and Sully, who are not friends but college rivals learning the trade of scaring and hoping to be accepted into Monsters, Inc. The film will give parents an opportunity to talk to their children about the subject of college in a positive outlook. In American there has rarely been a more important time to have this conversation. The Huffington Post wrote in April that there had already been thirteen college shootings this year. In 2007 thirty-two people were shot dead at Virginia Tech. Though never short of funding, the American education system also still produces consistently subpar performances. Countering these pillars of fear and tension, Monsters University captures the emotions of college life and then gleefully subverts them. 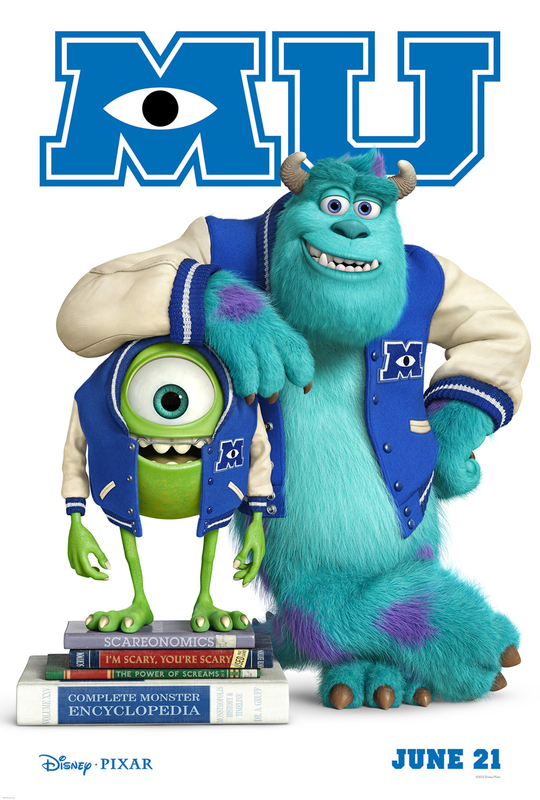 The core of the film is the friendship of Mike and Sulley, who represent contrasting attitudes in college study life. Mike is hardworking, ambitious and by the book but also small, an outcast and a loner. He wants to be the sole leader. Sulley is unprepared, lazy and coasts off his family name as a Sullivan. He's bigger, more intimidating and popular than Mike and expects everything will come through his natural ability and that he doesn't need to study. After making a bet with Dean Hardscrabble (Helen Mirren), they're thrown together into a Scare Games contest, where they reluctantly band together, along with other loners, to complete a series of challenges to stay enrolled in the college. Each game played against the other rival fraternity houses gives the film a story structure that is not dissimilar to The Internship. Unlike that film though, you actually care dearly about the characters. This is one of Pixar's greatest strengthens, not just as animators but as filmmakers. Each of the hilarious characters, including a middle-aged student and a two-headed dancer, helps to understand each other's strengths and how to use these in the tasks. It could be viewed as a generic 'be yourself' message but in the context of a college setting its thematically sensible because college should be a place where people learn their own skills and can take unexpected detours and still succeed. For those assuming this is a derivative underdog story, there is a huge point of conflict in this film, coupled with Pixar's trademark lump in the throat moments, as the story shifts into its darker unexpected final act. The director of the film was Dan Scanlon, who worked as a storyboard artist for Pixar on Cars. He graduated from Columbus College of Art and Design with a Bachelor of Fine Arts and in his first Pixar film as director he has used these visual skills exceptionally. The film is hysterically funny, partly due to the wit but also the number of sight gags on display. Monsters University itself resembles a proper college, with lecture rooms, dorms and orientation stalls, and uses this detail to reference old college films and campus stereotypes. I liked the variety in the monster designs, like how one of the students had a moustache shaped like a vampire bat or the gothic monster that had spikes coming out of the microphone she was holding. Dan Scanlon also controls the beats of the story so that there are breathing spaces between the challenges and that action sequences are brisk and never overlong. Hollywood films now are bigger and louder, but with little to say. 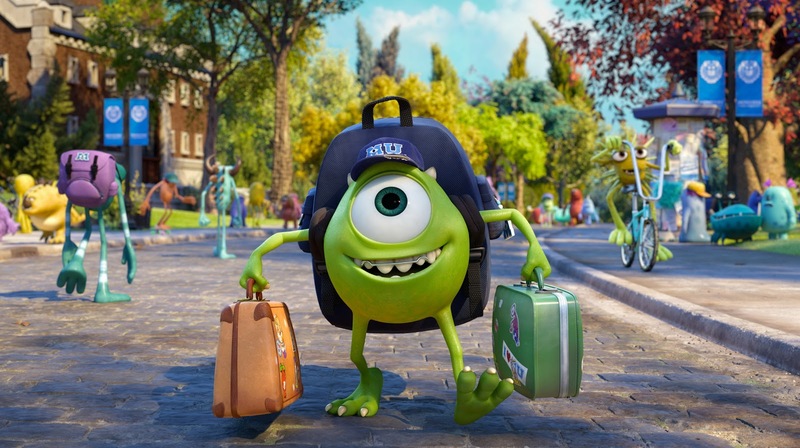 Monsters University is a rare blockbuster that could teach audiences something. The film is about learning to accept fear and failure, while remaining hopeful about change and growth through our different skills. Pixar's personal talent is that their films are still as simulating as they are funny and creative.